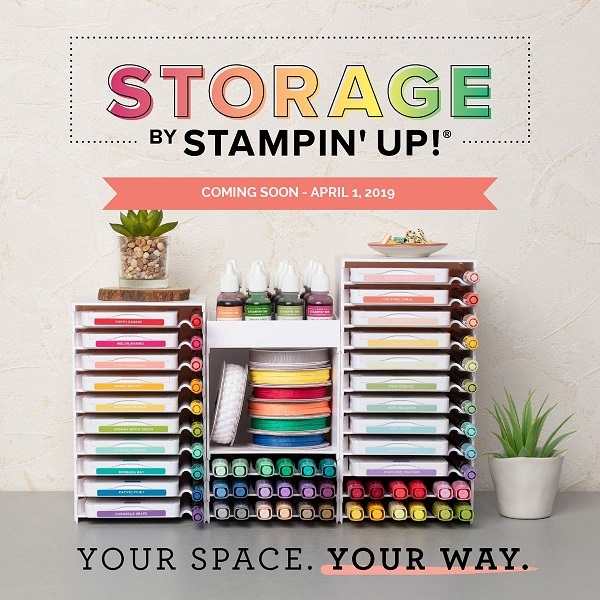 Hi, a lovely reader recently reminded me I was going to pull out the Watercolor Wings stamp set and experiment with some colour combinations. I did pull out the stamp set but that wasn’t quite what happened (but don’t worry, Cris, I will return to this idea). I felt compelled to make a super quick and easy and bright card. 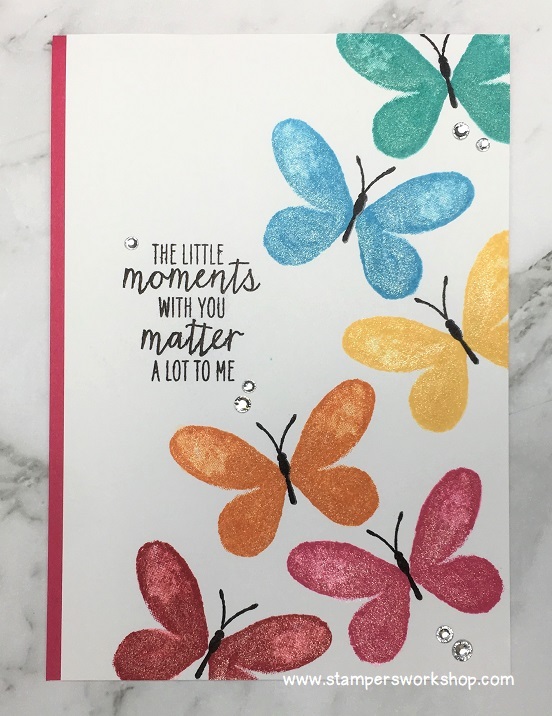 Whilst the stamp set is designed as a layered stamp set, meaning you stamp a base and then build up the look of the butterfly with additional stamped layers, as with everything, you don’t have to use it as it was originally intended. For this card, I used the base layer stamp of the smaller butterfly only. I had the idea of a rainbow of butterflies flying off the edge of the card. You could make this card as a one layer card but I thought the pop of Melon Mambo cardstock was a great addition. I added Wink of Stella in Clear to each butterfly to really make them shimmer and then finished off the card with some rhinestones. This is a super quick and simple card. I hope you’ll give it a try!